Do you snore? Or maybe you suffer from obstructive sleep apnea. In either case, you’ve probably been told that getting more exercise would help to alleviate your problem. And it’s true. If you increase your level of overall fitness, it might decrease the frequency and severity of your snoring. It might even reduce your sleep apnea symptoms. The truth is that getting into better shape, while great for your general health, won’t necessarily solve your snoring problem, or cure you of OSA. After all, there are plenty of slender people out there who snore. And you can be extremely fit, but still suffer from OSA. So hitting the gym more won’t necessarily solve either problem. But don’t write exercise off just yet. Exercising can be an effective remedy for both snoring sleep apnea. Especially if you do the right kind of exercise. Sleep researchers have found that doing certain types of exercises can decrease the frequency, intensity and severity of your snoring. And these same exercises can benefit those suffering from obstructive sleep apnea. Just like the muscles in the rest of your body, the muscles and soft tissues that make up your upper airway can get flabby and weak. And when that happens, they can obstruct your airway. As air travels through the air passage, those tissues will vibrate, causing the sound people hear when you snore. You can strengthen and tighten the muscles and soft tissues of the airway by doing targeted exercises. And once those tissues are in “good shape,” they are less likely to obstruct your airway. This means they won’t relax while you sleep, collapse into the air passage, and cause you to snore. Can exercises really help alleviate snoring and OSA? According to several studies, they can. A study published in CHEST, the journal of the American College of Chest Physicians, involved 39 men and women who all snored. Some of them also suffered from mild to moderate obstructive sleep apnea. The participants were split into two groups, and both groups were told to use nasal irrigation 3 times a day. When there is mucus in your nose, it can obstruct your air passage and contribute to snoring. Nasal irrigation cleans out the nasal passages, and clears away this mucus. Beyond that, the two groups were given a different set of instructions. One group was told to use nasal strips, and to practice doing deep breathing exercises. And the other group was told to do tongue and palate exercises for 8 minutes every day. After three months, the snorers who used nasal strips and breathing exercises didn’t see any sizeable improvements. But the snorers who did the exercises saw a 36% decrease in the frequency of their snoring. And the intensity (or loudness) of their snoring decreased by 59%. And a study published in the American Journal of Respiratory and Critical Care Medicine involved 31 participants who all suffered from moderate obstructive sleep apnea. As in the previous study, participants were separated into two groups. One group was told to do deep nasal breathing for 30 minutes a day. And the other group was taught targeted tongue and facial exercises, and told to do them every day for 30 minutes. The participants in the deep breathing group didn’t see a lot of improvement. But the participants in the group that did the exercises saw a 39% decrease in the severity of their sleep apnea symptoms. And, as an added bonus, they also saw a reduction in their snoring. That, if you snore or suffer from OSA, doing the right kinds of exercises can definitely help you find relief. Whether you want to have six-pack abs or improve your cardiovascular health, there are targeted exercise programs that will help you get the results you want. And if you want to stop snoring, there are exercise programs to help you with that too. Anti-snoring exercise programs have been around for a while. They don’t get talked about as much as some other snoring remedies. But most who have tried such programs sing their praises. If you want to know what snoring exercise programs are all about, here are two examples. Since 1999, thousands of people have found relief from their snoring woes thanks to the Stop Snoring Exercise Program. What attracts some to this program is that it’s easy and safe. And it’s definitely more appealing than some other snoring remedies, like surgery. The 24 quick and easy exercises in this program are designed to strengthen the tongue, throat, jaw and soft palate. And you can do each exercise in about three minutes or less. The program promises that, once you start doing the exercises, you will see results immediately, maybe even on the first night. And if you do the exercises faithfully, your snoring problems will be a thing of the past in about 2 to 4 weeks. The Stop Snoring Exercise Program was created by Christian Goodman, who was a severe snorer for 20 years. He tried every snoring remedy out there, but nothing worked for him. He even considered snoring surgery, but the cost and possible complications made him reluctant to go that route. Finally his wife, a classical singer, told him about the exercises singers use to open up their breathing passages. Goodman, knowing that narrowed air passages were usually the main cause of snoring, decided to give the exercises a try. And within 3 weeks of starting the exercises, he had stopped snoring completely. There are 24 exercises in the Stop Snoring Exercise Program. But you won’t have to do all of them. Many different things can cause snoring. In fact, your snoring might have 2 or 3 different causes. That’s why the 24 anti-snoring exercises are grouped into 7 different exercise programs. The Stop Snoring Exercise Program helps you figure out the underlying causes of your snoring. Then you choose the exercise program that best deals with your specific issues. So the Stop Snoring Exercise Program can help to alleviate or eliminate your snoring. But how does it do against sleep apnea? Goodman himself had a mild case of sleep apnea before he started doing the exercises. After that, his sleep apnea symptoms disappeared. And many of his customers say they’ve experienced similar results. So there is a definite possibility that doing these exercises will offer relief to those who suffer from OSA. However, this program wasn’t specifically designed to treat sleep apnea. In fact, Goodman urges users of the program who suffer from OSA to seek proper medical care. And even if the exercises help to reduce their symptoms, a sleep apnea sufferer should keep following their doctor’s advice, and using prescribed sleep apnea treatments. The Stop Snoring Exercise Program costs $49. And it comes with a 100% money back guarantee. You can try the program out for 8 weeks. If not completely satisfied, you’ll get your money back, no questions asked. 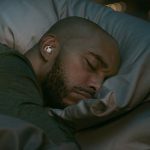 Because it’s a digital download, you’ll get instant access to the Stop Snoring Exercise Program as soon as you place your order. You’ll also get a detailed, illustrated guide ready for printing, and an audio version of the program that you can use with any device capable of playing it. You’ll also get both a phone number and an email address, so you can contact Goodman directly with any questions you have about the program. Visit the Stop Snoring Exercise Program website. The Optimum Sleep Protocol (or the OSP, for short) is an anti-snoring facial workout program that targets the root causes of snoring using throat, mouth, tongue and jaw exercises. The program was developed based on extensive research into the effectiveness of such exercises as a remedy for snoring. 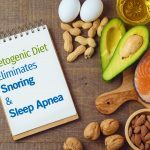 The program is made up of targeted exercises designed to tighten and strengthen weak muscles of the upper airway that could be causing you to snore. And you can be seeing results after your first week of doing the exercises. The Optimum Sleep Protocol is an easy to use, easy to follow online exercise program. When you place your order, you’ll receive access to an online library of anti-snoring exercise videos. These videos take you step-by-step through each daily snoring exercise routine. Each routine takes less than 20 minutes, and the only equipment you’ll need are an internet connection, and a computer or mobile device. The exercises are so simple that it won’t take long for you to commit them to memory. After that, you really can do them anywhere, even in situations where you can’t go online. So even if you’re at work, driving in your car, or doing the dishes, you can still do your anti-snoring exercises. The OSP comes with an 8-week, anti-snoring program calendar. This calendar tells you the order to do the exercises in to get the best results. You’ll also get a printable version of the program. Once you print it out, you can check to make sure you’re doing an exercise correctly without having to go online and sign in to your account. Finally, the Optimum Sleep Protocol gives you several ways to track your progress. You’ll be able to watch the frequency and intensity of your snoring decrease in a concrete, measurable way, and that will motivate you to keep doing the daily exercise routines. The Optimum Sleep Protocol usually costs $147. But, at the time of writing, it was available for $97, which is a $50 savings. This one-time fee gives you lifetime access. So you can always take advantage of any upgrades or improvements made to the program at no extra cost. When you order the OSP, you don’t have to wait to start using the program. In fact, you’ll get instant access to the videos and program details. There’s also a 100% money-back guarantee. 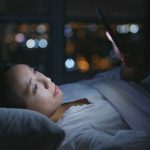 If you aren’t satisfied with the Optimum Sleep Program for any reason, just send an email within 60 days of making your purchase and you’ll get a full refund, no questions asked. 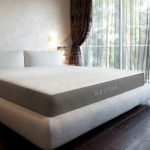 Visit the Optimum Sleep Protocol website. Anti-snoring exercises are easy to do, and don’t take much time. In fact, here are a few example exercises to show you just how quick and easy they are. This first exercise comes courtesy of the Stop Snoring Exercise Program. With your mouth, gently rest your top teeth against your bottom teeth, so the molars on each side are touching. Without parting your lips, open up your jaw so that your molars are no longer touching. Lower your jaw until your teeth are lightly touching again. This exercise is very much like chewing, so it can help to imagine you’re chewing bubble gum. You can start out by doing this chewing exercise for about 10 or 15 seconds. Then you can do it for a little longer each time, building up to one minute. Here’s an exercise that was done by the participants in one of the studies mentioned above. A great way to exercise the muscles of the airway is by lifting and lowering the soft palate. The soft palate (which is the fleshy area near the back of your throat) actually lifts automatically when you yawn. To exercise the soft palate, consciously lift and lower it 20 times. Here’s another exercise from the study. With your mouth closed, place the tip of your tongue against the roof of your mouth, so that it’s resting behind your teeth. 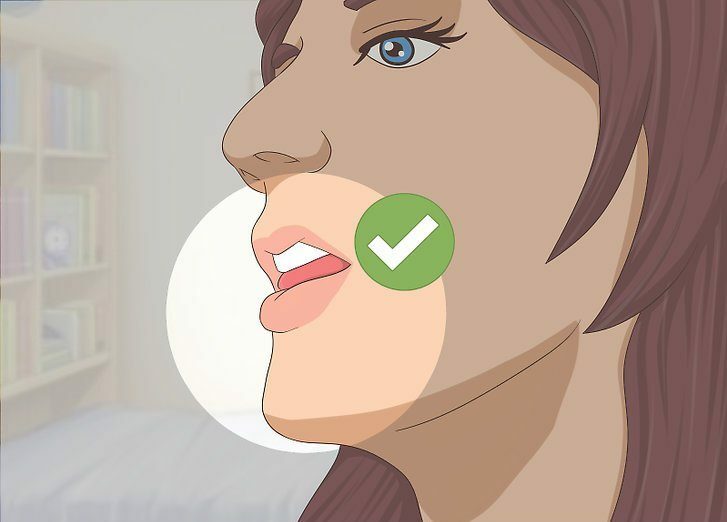 Move the tip of your tongue back towards your soft palate. Move the tip of your tongue back to the front of your mouth. Doing any of these exercises could help ease your snoring problems. But a comprehensive program is probably the best way to get the full benefit of doing snoring exercises. Snoring exercises are a quick, easy and non-invasive remedy for your snoring woes. And they can also help to relieve the symptoms of obstructive sleep apnea. 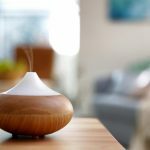 So if you’ve tried a few anti-snoring remedies, but haven’t seen the results you were hoping for, it might be time to give anti-snoring exercises a try. Thanks for sharing Good Stuff. Really helpful & Thanks for recommending the Optimum Sleep Protocol..